The Pals Golf School is located in the beautiful area of the Costa Brava, next to the sea and enveloped by a fantastic pine forest. The surroundings and the ambiance of the school combined with the experience and professionalism of our Golf Professionals make the school the perfect place to learn and improve their game. "Our school philosophy is: to obtain the best result from each player in a practical an easy manner”. Professional player of the Real Federation Española de Golf since 2010. Monitor since 2001. Assistant teacher since 2003 and Professional Teacher since 2006. Speaking 4 languages: Catalan, Spanish, English and French. More than 14 years teaching all levels and ages. He has helped to improve the game of players of all levels from beginners to professionals. Marc himself follows a strict program, constantly updating his coaching techniques and philosophies to offer the maximum advantages to his pupils in terms of technique and confidence. At the school we don’t believe in only one system of teaching. The more offer understanding and learning tools we offer our pupils the more opportunity they will have to become a complete player. Our school philosophy is: “ to obtain the best result from each player in a practical an easy manner”. Former player of the European Women's Circuit - LADIES EUROPEAN TOUR has been teaching since 2015 with a BPJEPS qualification (national diploma France). He has knowledge of other languages which allows him to teach in Spanish, French and English. 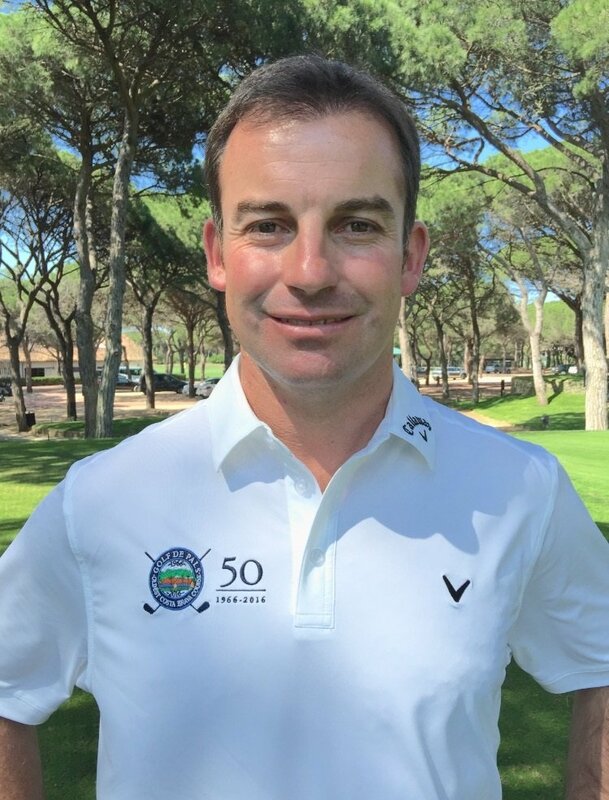 His 7 years of experience in the circuit have allowed him to discover interesting golf courses in countries of very different cultures as well as to meet the best players in the world. "During the years that I was in the Circuit and thanks to my teachers and my meetings, I was able to assimilate the high level training that mixes golf, psychology and mental technique. It is these three pillars that I would like to convey to the players who wish to progress in this sport. " "Exigence Technique, Physique et Mentale. Ce sont ces 3 composants du jeu de golf que s'aimerais transmettre aux personnes qui desirent progresser dans ce sport".